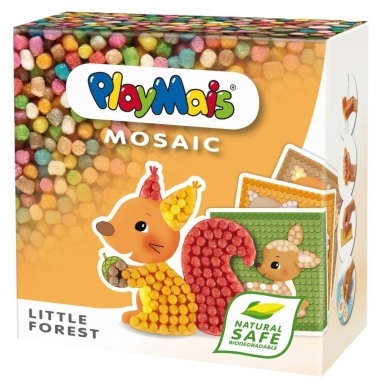 Playmais, natural safe and biodegradable. The PlayMais® FUN TO LEARN range with its high educational value is ideal for learning-while-playing. Contains more than 550 PlayMais®, 14 pre-printed cards for teaching shapes and colours, instruction booklet and accessories. More than 8 hours of fun with educational elements. PlayMais® is a versatile craft material for children which is natural, safe and 100% biodegradable. It is made in Germany from corn starch, water and food colouring. 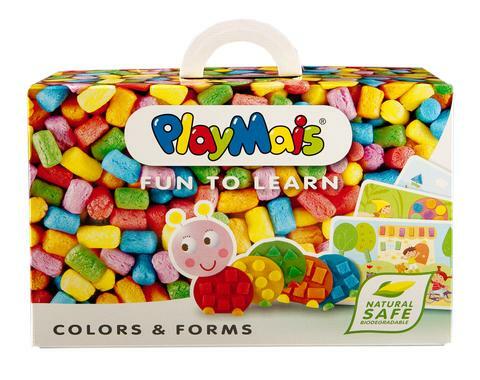 PlayMais® stimulates creativity and helps little fingers build fabulous things. No glue needed. All it takes is water and your imagination!